Alexandra Israel (Assistant Director) received a B.A. in Linguistics and Languages from Swarthmore College and an M.A. from the University of Chicago’s Master of Arts Program in the Humanities. She joined the Holocaust Educational Foundation in January of 2014. Niamba Baskerville (Graduate Assistant, Fall 2018-Spring 2019) is a Ph.D. candidate in Sociology interested in the relationship between media and society. Her current research examines how messaging and strategy trends within the political consulting industry shape U.S. political culture. She holds an M.A. in sociology from Northwestern University and a B.A. in Sociology & Anthropology from Swarthmore College. Theodore “Zev” Weiss, Founder (1976-2013) was born and spent his early childhood in Hungary. When the Germans occupied Hungary in 1944, he was deported to Auschwitz with his parents, brother, and sister. He was immediately separated from his family and never saw them again. After imprisonment in Auschwitz-Birkenau, he worked as a slave laborer in other camps, and eventually was liberated by the US army. He came to the United States in 1956, where he served as a teacher and principal for 35 years. Along with his wife Alice and a host of friends who comprised the original Board of Directors, Weiss founded the Holocaust Educational Foundation in 1976. For the first decade, the Foundation’s primary work was to record Holocaust Survivor testimony. In 1988, the Foundation provided funding to establish a Holocaust history course at Northwestern, which continues to this day and enrolls over 100 students each year. The success of this course prompted the broadening of the Foundation’s mission to encourage Holocaust education at the university level. As a result of Weiss’s efforts, the Foundation has become a critical force in developing and supporting the field of Holocaust Studies. Benjamin Frommer (2013-2016) oversaw the integration of the Holocaust Educational Foundation into Northwestern University and served as the first Director of the Foundation after integration. Building upon the work of Zev Weiss, Frommer formalized processes related to all aspects of the foundation, including leadership advising, awarding fellowships and grants, staffing the Summer Institute, and fundraising. He grew the Foundation from two part-time staff members to two full-time staff members and laid the groundwork for continued growth and impact on the field of Holocaust Studies. He continues to serve on the faculty at Northwestern University in the Department of history. For more information click here. Myisha S. Eatmon (Graduate Assistant, Fall 2017 – Spring 2018) is a Ph.D. candidate specializing in African American history with a minor field in Legal history. Her research interests include Jim Crow, civil litigation, African American print culture, and the long nineteenth century. Before attending Northwestern, Myisha interned for (then) Senator John Kerry and attended the University of Notre Dame, where she earned a B.A. 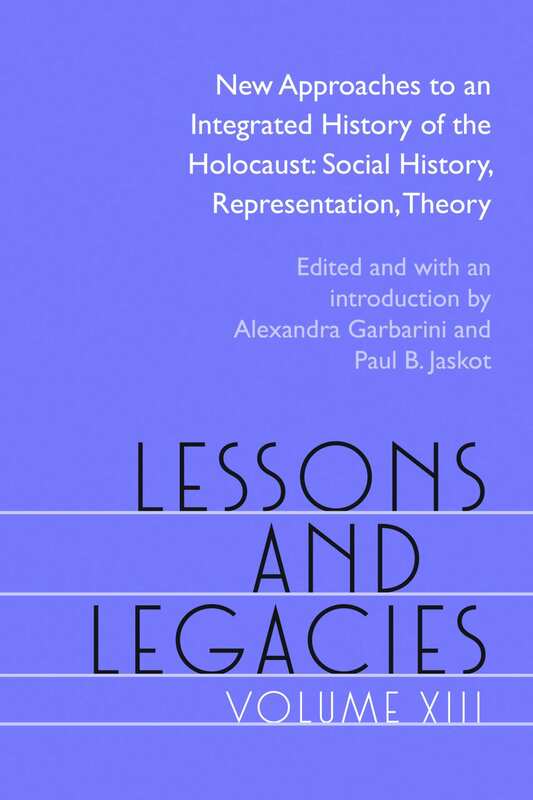 in Political Science and History (2012). She holds an M.A. in history from Northwestern University. Alissa Schapiro (Winter – Spring 2017) is a third year Ph.D. student in Art History working on mid-twentieth century American art related to World War II and the Cold War, focusing most specifically on various American modernist responses to the Holocaust during the war years. Schapiro received her B.A. in History of Art and Architecture from Harvard University, and her M.A. in Curatorial Studies from the Courtauld Institute of Art in London. Amanda Kleintop (Spring 2016) is a Ph.D. candidate specializing in nineteenth-century American history with a minor field in historical methodologies. Her research interests include the U.S. South, Civil War, slavery, and emancipation in the Atlantic World. Before attending Northwestern, Amanda worked in digital history with the Digital Scholarship Lab and public history with Virginia Sesquicentennial Commission. She holds an M.A. in history from Northwestern University and a B.A. in history and leadership studies from the University of Richmond (2011). Lev Daschko (Spring – Fall 2015) is a graduate student studying Modern European History, concentrating on the historical relationship between Ukrainians and Jews in Austro-Hungarian Empire. He completed an Honours BA in History and Political Science at the University of Toronto, and a master’s degree in History at the University of Western Ontario. Recently, he presented at a conference in Toronto on the representation of Jews in Ukrainian nationalist newspapers during WWI. Lev is currently examining the depiction of local Ukrainians by Jewish publishers and printers in the Habsburg Duchy of Bukovina. Beth Healey (Fall 2014 – Winter 2015) is a doctoral candidate in History, concentrating on Nazi Germany and the Holocaust. She holds a bachelors degree in History from Providence College and a masters degree in History from Boston College. Beth has presented her work in Rome, Chicago, London, Los Angeles, and Munich, and is currently working on her dissertation examining the Royal Warrant war crimes trials of Nazi war criminals in British-occupied Germany.